On began ArtFlow I thought it would be great to start collecting some great examples of artist x brand collaborations in the fashion world. So I go on-line and began what I thought would be an simple click-to-buy situation. Boy was I wrong (and frustrated!). You just can’t get a hold of anything. Which means from a happy commercial perspective : they’re sold-out. And sold out products = collectibles. From the Vans x Van Gogh collection to the Kaws x Nancy Gonzalez collaboration, Kerry James Marshall x MZ Wallace or Damien Hirst x Converse. You might be lucky to find them on resale sites at a chunky mark-up price. Of course not all brand x artist collaborations are offered in limited edition. 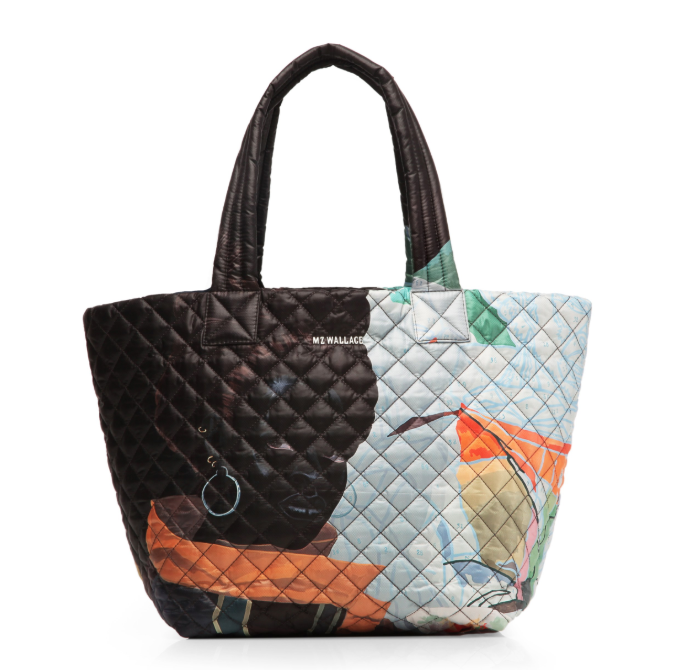 Alex Israel’s collaboration with Vilebrequin is an open-ended line as is Jeff Koon’s collaboration with Louis Vuitton. However, there are of course limits to supply here and once out-of-stock they will become all the more collectible. The ‘limited edition’ is an art world staple more generally linked to prints and multiples made from reproducible production processes. Beyond the inherent interest the artist may have for working in the medium, the edition is foremost an excellent way to render accessible the work of an established artist to a wider audience. Did you that know you can buy a Picasso or a Warhol for as little as $1’000? Sure, simply by looking at etchings, eaux-fortes or screenprints in large editions. They are all authentically by the artist, just conceived to reach a wider audience. In some cases, the artist may have even personally signed the print. Many of the greatest artists have sought to produce works in multiple formats to broaden the accessibility of their output. This idea was fundamental for Keith Haring who, beyond leaving artworks in public spaces around the world, also produced badges, t-shirts and magnets for his own pop-up store designed to open art to a wider audience. So limited editions are great way to democratise art. But for brands, they are also an amazing way to experiment with their identity in a safe-zone. A limited edition is essentially a low-risk operation - if successful it could open the brand up to a whole new audience and profits - if it fails then its represents a very limited impact on the overall brand identity. But the good news is that if done properly there is very little risk of failure. The key resides in building a genuine collaboration with the artist by clearly aligning the values of the brand and their artistic practice from the very beginning. Artists have a unique kryptonite that all brands are looking for : they don’t reproduce cutting-edge culture, they are cutting-edge culture. They bring a unique and authentic voice which cannot be replicated by a studio. Why not get in touch with ArtFlow today to find out how we can build your artist x brand collaboration today. You know what, I think I will!